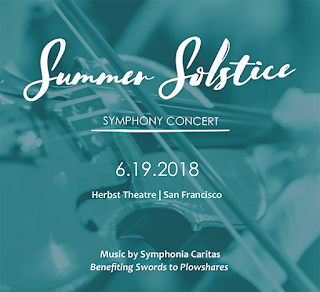 It has just come to my attention that tonight Herbst Theatre will host the Second Annual Summer Solstice Symphony Concert presented by Swords to Plowshares. Swords to Plowshares is a nonprofit organization that is a leading institution for providing services and advocacy to veterans. 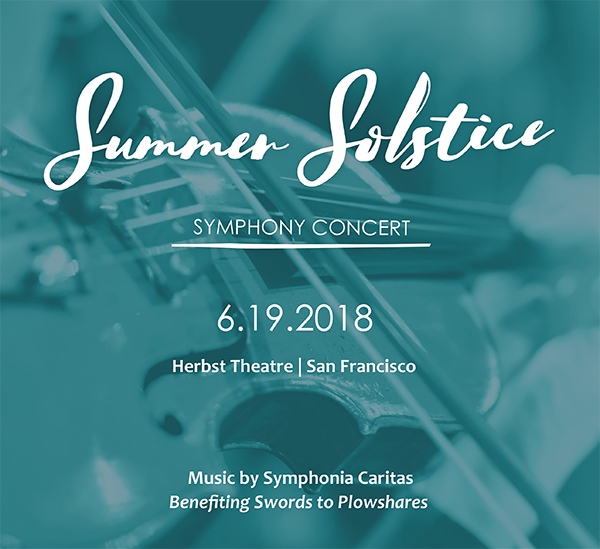 The music will be provided by Symphonia Caritas, a professional ensemble dedicated to presenting music as a means to improve the lives of those in need. The program will follow the usual overture-concerto-symphony format. The concerto will be Frédéric Chopin’s Opus 21 (second) piano concerto in F minor. The concerto soloist will be Jeffrey LaDeur. Like the concerto, the symphony will be an early composition, Sergei Prokofiev’s Opus 25 in D major. This was the composer’s first symphony; and he would later give it the name “Classical” in recognition of the influence of Joseph Haydn (and, to a lesser extent, Wolfgang Amadeus Mozart). Mozart himself will be the source of the overture, the one he wrote for his K. 492 opera, The Marriage of Figaro. The conductor will be Symphonia Caritas Music Director Paul Schrage. This concert will begin at 7:15 p.m. tonight, June 19. Herbst Theatre is located in the Veterans Building on the southwest corner of Van Ness Avenue and McAllister Street. This makes it easily accessible to both east-west and north-south Muni lines. Premium seating in the orchestra will be $95, and all other tickets will be $60. Tickets are currently available only at the door.